This conceptual paper examines different conceptions of weather variability as a starting point for urban design and planning in Northern climate. It explores the possible over-arching approaches towards weather, mapping connections and differences between them. 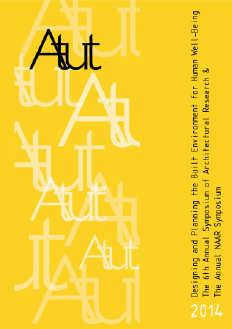 Thus, the paper forms an intial framework that helps to understand urban spaces’ adaptive capacity towards climate. Weather variability in urban design and planning context is discussed both inductively and deductively, based on a literature review on proposed design solutions in Northern urban design. This is reflected and combined to theories and concepts on adaptive capacity and resilience in climate change adaptation literature. Reacting to current climate and climate change are combined into a dynamic framework, thus finding connections between solutions to current weather variability and future adaptation. Sustaining, recovering, adapting and supple approaches are proposed as categories for different approaches to framing weather variability and reacting to it. Three main conditions characterize the proposed framework: (1) a balance between the approaches is needed to achieve both adaptive capacity and maintain the stability and identity of a place. (2) Framing weather variability as a seasonal cycle might have possibilities to act as a mediator in preparing for future climatic changes in urban design and planning processes. (3) When discussing temporary element such as climate, management cannot be separated from spatial adaptive qualities. When taking the climate into account, urban environment should be understood both as a process and a form. Brooks, Nick, 2003. Vulnerability, risk, adaptation: A conceptual framework. Tyndall Centre for Climate Change Research, Working Paper 38. De Vries, Jochem, 2006. “Interface. Climate Change and Spatial Planning Below Sea-Level: Water, Water and More Water”, Planning Theory & Practice, Vol. 7, No. 2, 201–230. Hough, Michael, 1995. Cities and Natural Process. Routledge, London. Martin-Breen, Patrick; Anderies, J. Marty, 2011. Resilience: A literature review. Rockefeller Center Foundation. Müller, B., 2010. “Urban and regional resilience: A new catchword or a consistent concept for research and practice?” In Müller, B. (ed.) German Annual of Spatial research and Policy. Berlin Heidelberg, Springer-Verlag. Roggema, Rob; Vermeend, Tim; van den Dobbelsteen, Andy, 2012. “Incremental change, transition or transformation? Optimising change, pathways for climate adaptation in spatial planning”, Sustainability, vol. 4, p. 2525-2549.